Earlier this month, the Ohio Supreme Court (in Columbus City School Dist. Bd. Of Education v.Testa, Slip Opinion No. 2011-5534) ruled that property owned by a university (The Ohio State University), but rented to a third party for purposes unrelated to the university’s purpose is not entitled to exemption from property tax. The property at issue is located south of the Ohio State University [“OSU”] campus. It houses four residential rental units on the second floor, and at the time of the application for tax exemption, the first floor and basement was occupied by a McDonald's. OSU received title to the building through a bequest intended to provide scholarships to veterinary-medicine students at OSU. 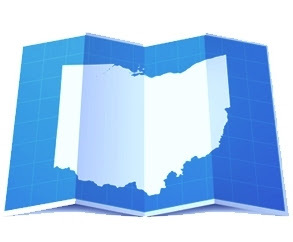 The Board of Tax Appeals (“BTA”) that heard the case prior to the Ohio Supreme Court took the position that income-producing property like the parcel at issue qualifies for exemption under R.C. 3345.17 to the extent that the income generated by the property is devoted to university purposes. Since there was credible testimony that income from the property at issue would be applied first to paying down OSU's acquisition expense, and then to veterinary-medicine college operations (in other words, all such income would be used for tax-exempt purposes), the BTA held that the subject property was exempt from real estate taxation. The Court in Columbus City School Dist. v.Testa, however, unanimously overruled the Board of Tax Appeals’ interpretation of the applicable statute (O.R.C. Sec. 3345.17). The Ohio Supreme Court analyzed the statute and keyed in on language allowing a property tax exempt status for university property, only if that property is “used for the support of such university”. According to the Court, “the statute notably does not explicitly allow or tie the exemption to the use of income from the property, but rather to the use of the property itself”. Further, the Court erased any doubt as to the intent of the current statute by offering previous legislative history of the law that would have allowed the use of “rents, issues or profits” (vs. use of the property) to prove exempt status. Notwithstanding the Court’s ruling in Columbus City School Dist. v.Testa, it is important to note the “wiggle room” that is still permitted in these cases. First, the use can be prospective vs. current (See Id. at Para. 34; “Because there is neither a current nor a prospective use of the property operationally related to university activities, OSU's exemption application should have been denied”). Second, non-university purposes that are secondary to a university’s primary use will not defeat the tax exempt status of the property (See State ex rel. Univ. of Cincinnati v. Limbach, 51Ohio St. 3d. 6 (1990) and Bd. of Trustees v. Kinney, 5 Ohio St. 3d. 173 (1983)).